Stack unit for D-75s. Requires some assembly. S-2 is perfect for your expanding media storage needs! Running out of storage footprint? 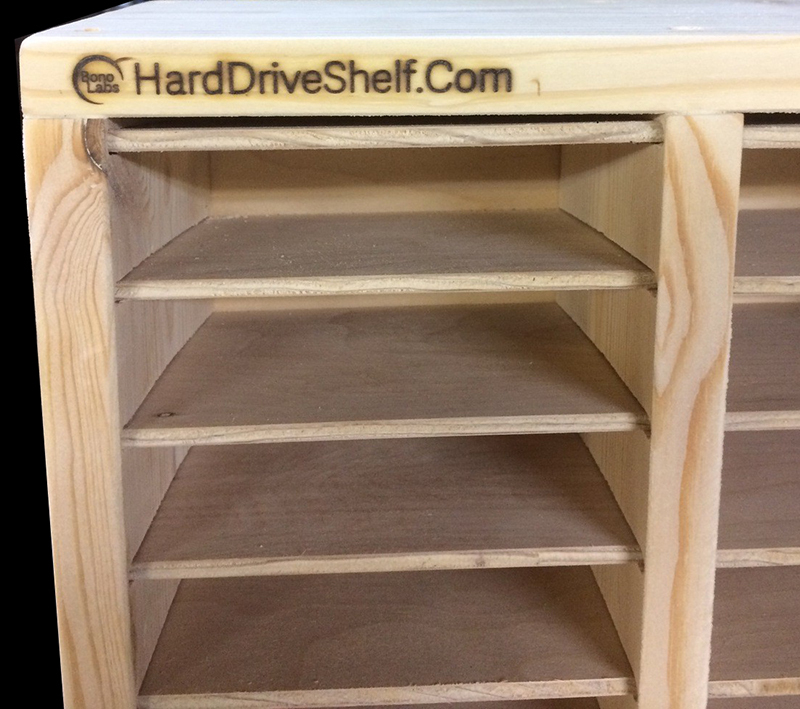 The S-2 vertical stack unit for our popular D-75 hard drive shelf modules holds D-75s so you can store up to 150 drives. These sturdy and stable handcrafted units are designed to stay upright. Measuring 66 inches in height, the S-2 provides easy access to all drives. 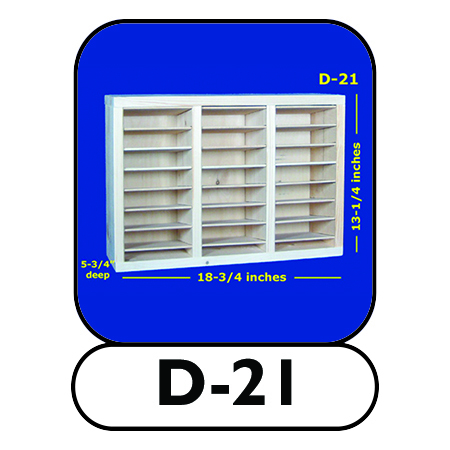 Each D-75 unit fits snugly into the 34-1/4 inch wide unit. The S-2 is particularly appreciated where space is limited and your data keeps on growing. If you’re using SATA drives for your media productions, law enforcement, record management, university research, or data collection, the two D-75s loaded into the S-2 provides a great solution to keep your data secure and organized. 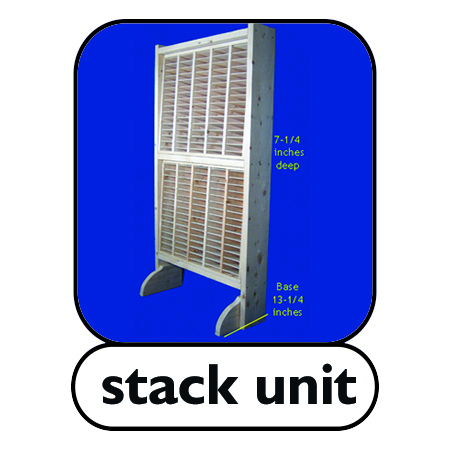 If you are planning to stack D-75 units vertically, this S-2 unit is required. See the P-150 to buy the bundle. Like all of our modules, these units are handmade in the USA of unfinished pine. This product requires some assembly. D-75 are not included with the S-2 stack unit. Please purchase them separately or add them to your cart. 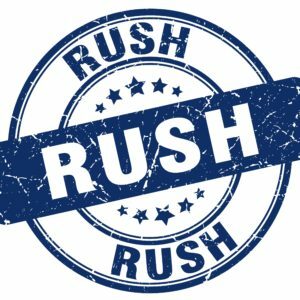 We have reduced our build and your wait time! 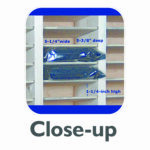 Please allow 2-3 weeks for shipment of shelving products. Our customer pays outbound shipping costs plus a per product handling fee of $12.50 in addition to the order total. The S-2 stack unit travels in a returnable wooden protective container. Customers also pay half of the shipping for the return of the empty container. 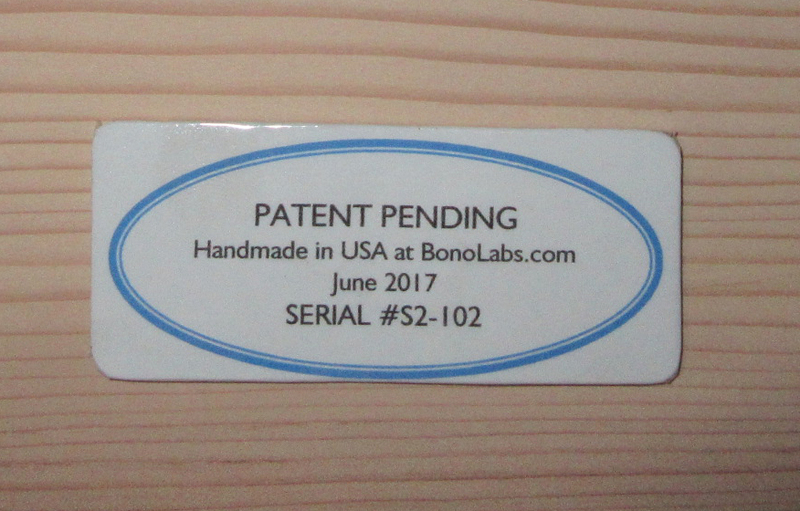 Please see the shipping page for additional details.